Volunteering with the Looe Marine Conservation Group is interesting, fun, sociable, rewarding and educational. Engaging people in our work and inspiring them to learn about the shore is key to what we do. We run a full programme of public events including rock-pooling, walks, talks, explorations of the estuary, seal spotting boat trips, arts and craft sessions. These year round events attract people of all ages and from a wide range of backgrounds. We have a presence at key annual festivals in Looe such as the RNLI Festival of the Sea and regularly run sea shore exploration events for schools and community groups such as the Scouts and Brownies. Where possible we engage with local marine users teaming up with the glass-bottomed pleasure boats to run expert-guided trips to see the seals and link with local fishermen to run events about sustainable fishing and crabbing. We have produced a hugely-popular leaflet about crabs featuring local children’s art to encourage everyone to treat crabs carefully and aiming to inspire people to learn more about these remarkable animals. The leaflet has been so successful that other groups in the county are also using it. No knowledge is necessary to become a useful volunteer! But one of the great benefits is that there are some amazing opportunities to learn about the marine environment and conservation by joining us eg attending marine identification skills courses at the Marine Biological Association in Plymouth. Training events include rocky shore training. We also work with the Cornwall Wildlife Trust to train volunteers in the use of ‘Shoresearch’ survey methodology in order to run detailed studies of our shore area. 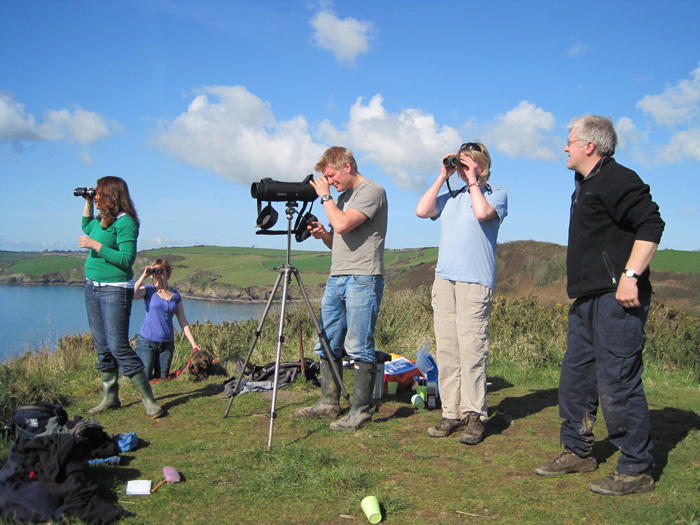 Our volunteers support the Cornwall Seal Group, carrying out monthly surveys based on Looe Island. Pairs of volunteers observe and record the seals present, take photographs to identify individual seals and keep notes on seal behaviour. This work is providing vital evidence about seal numbers, behaviour and movement that will be used to inform conservation activities. Alongside the monthly seal surveys, our volunteers conduct a regular survey of the birds present around Looe Island. The information collected is important to monitor numbers of both land and sea bird species. The marine environment has not been well recorded in the past and by developing our skills and submitting regular information, we can pick up trends, monitor invasive species and feed in to conservation planning and policy decisions. The group regularly submits records to the Environmental Records Centre for Cornwall and Isles of Scilly (ERCCIS) through their easy to use online system, ORKS, which feed into national recording schemes. 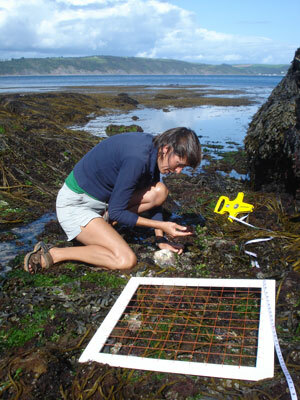 We organise formal surveys such as an annual intertidal survey on Looe Island and also submit records from our public events.. There are around 70 breeding pairs of Great black-backed gulls on Looe Island. This is a species which is declining nationally for unknown reasons. Our volunteers are working with the Cornwall Birdwatching Group to ring gulls. This enables us to monitor their progress and distribution and identify behaviours and changes. Around 140 gulls have been ringed so far and gulls from Looe Island have been sighted as far afield as the Channel Islands and France. A joint project between Looe Marine Conservation Group volunteers, Newquay College and the University of Plymouth has confirmed the presence of a large seagrass bed within the VMCA area. Seagrass is a flowering plant and provides a very special habitat in the sheltered shallows. Seagrass is well-known to be a vital breeding and nursery ground for many fish species and many other species, including seahorses, live in areas of seagrass. Further work is now needed to map the seagrass bed in more detail, to survey the species and to ensure this delicate ecosystem is protected from damaging activities. 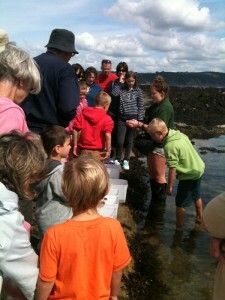 In 2012-13, a grant from the East Cornwall Local Action Group enabled Looe Marine Conservation Group to establish itself as a key local provider of marine conservation events, information and community engagement. Since the successful completion of this project, the group has grown in strength and become self funding.